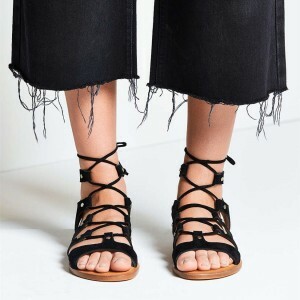 Black Gladiator sandals continue to reign supreme in 2019. 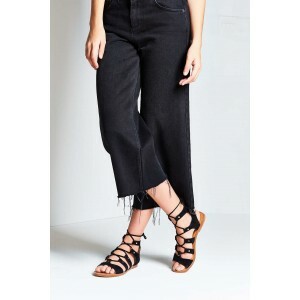 Our selection includes styles in every shaft height and heel height imaginable, from strappy lace-ups gladiator sandals that hover at the ankles to knee-high gladiator sandals that seem to wrap up the leg for that cool caged look. So whether you're off to a weekend music festival or just on a fun day date, FSJ has the footwear for the win! And you won't even need to fight us for it. 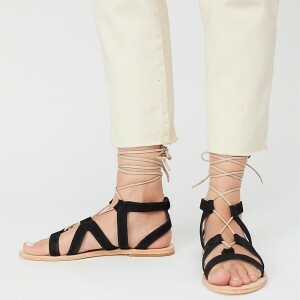 Add one (or six) of our women's gladiator sandals to your collection to show off in this season. I absolutely love these shoes! So cute feel good and look fabulous! For the price it’s what I expected. I love them so much! They're super cute, and the material is nice!Great Beach shoes!